Twelve Days at the Penny Fontaine Hotel. Day One. Art Print. 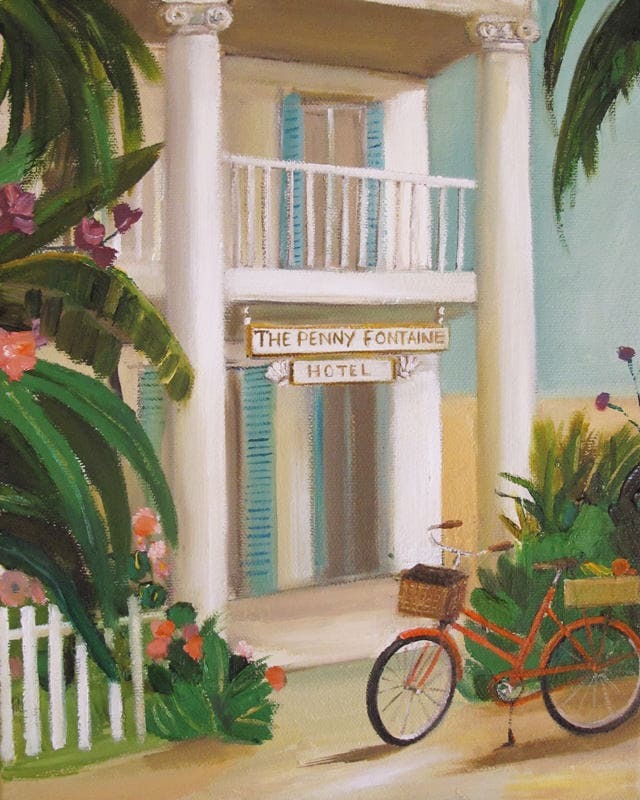 Title: Twelve Days At The Penny Fontaine Hotel. Day One: Check-in and go for a bike ride.